** Spoiler alert/Trigger warning: If you’re a Downton Abbey fan who has not yet seen the most recent episode, which aired this past Sunday, January 12, in the US, spoilers are ahead in this blog post. Also, there is no explicit trigger warning for sexual violence on the episode, but there should be. 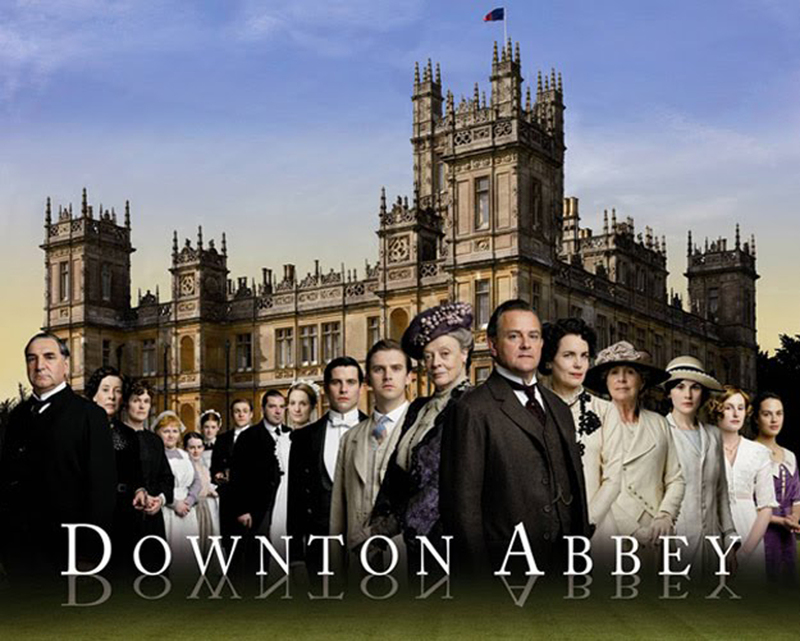 If you’re a fan of Downton Abbey, you’re already well-aware of the show’s appeal factors, but for the rest of you, I’ll give you a brief rundown: It’s a British period drama about English aristocrats and the servants who work for them in the years leading up to, during, and after WWI. Pretty much everyone is white, and among all those white folks, there’s a lot of tea drinking, lavish costumes, light humor, and no small amount of snark. And, of course, there’s drama. But the appeal of Downton, at least until Sunday’s episode, has always been the incredible restraint with which that drama has been handled. Much of it is entirely inconsequential to anyone who’s not a member of the early 20th century landed gentry — missing cufflinks, dinner served from the wrong side, etc. — and even when there is a genuinely catastrophic event, such as the death of one of the show’s main characters, it is handled with a subtlety and gentility that hits the appropriate emotional notes without leaving the viewer feeling their concern for beloved characters has been taken advantage of and used against them. Or such was the case before Sunday’s episode. You can read an in-depth recap of Sunday’s episode here, but suffice it to say that all but the last 8 minutes were traditional Downton fare, with potential suitors, dinner guest drama, and a jar of jam breaking in the kitchen (no, for real, that was a whole thing). So when, in the final few minutes, we see Anna, arguably the most morally upright character on the show, downing Alka Seltzer alone in the empty kitchen while the rest of the household are upstairs listening to a performance from a visiting opera singer, my first thought was, “Oh dear, another health crisis storyline.” It wasn’t until Anna turned around to find herself face-to-face with a visiting valet whose previously open, charming face is suddenly glowering with menace (subtle!) that I realized the direction the scene was headed. Even so, this is Downton Abbey, not Law & Order: SVU. Surely someone would burst in at the last minute and stop him, right? Right?! Wrong. For the next several minutes, the audience was subjected to what was by far and away the most graphic violence ever seen on Downton… and this is a show that featured scenes in the trenches of WWI. I’ll spare you the triggering details here, but suffice it to say that no one swoops in at the last minute to save the day, and Anna is brutally assaulted while the scene cuts back and forth between her screams in the empty kitchen and the rest of the cast placidly listening to the visiting opera singer upstairs. There is so much wrong with this whole thing, I hardly know where to begin. And thankfully, I don’t really have to—the rest of the internet has covered those bases for me—here, here, here, and here. But amid all of the (very warranted) discussion of what was wrong with the scene, and the episode, and Downton’s generally shabby treatment of its female characters, there is one redeeming factor that has so far gone largely overlooked: Following the assault and after the concert has ended and the rest of the staff have returned downstairs, the head housekeeper, Mrs. Hughes, finds a bloodied, disheveled, and hysterical Anna cowering in the corner of Mrs. Hughes’ office. Unsurprisingly, Anna swears Mrs. Hughes to secrecy (I say “unsurprisingly” because OF COURSE the show’s creators want to string this cheap plot device out for all it’s worth this season), but there’s something else very important about that scene: Mrs. Hughes’ reaction. Though obviously startled and alarmed, Mrs. Hughes immediately seeks to comfort and support Anna. At no time does Mrs. Hughes blame or shame Anna for what’s happened, nor does she ask invasive questions or question the validity of Anna’s claims. While Mrs. Hughes does suggest that Anna tell someone else or at least be seen by the doctor, she doesn’t argue when Anna declines, and ultimately assists Anna in meeting her immediate needs (in this case, salve for her wounds and a clean dress). In this moment, Mrs. Hughes is a model for how we should all react if/when we are confronted by someone who had experienced sexual violence. At the Center, our Companions are trained that their main job in supporting survivors is to BLESS them. That is, to Believe, Listen, Empower, Support, and keep Safe. Research and common sense tell us that survivors who receive a supportive and validating response upon first disclosing their victimization report an overall healing time that is less than a third of that reported by survivors whose initial disclosure was met with a blaming, disbelieving, or shaming response. It takes a tremendous amount of courage for a survivor to disclose their victimization to another person, and we hold tremendous power in that moment to impact that survivor’s long-term healing journey. It is imperative that we take our cues from Mrs. Hughes by believing and validating the survivor’s experience, truly listening to them and honoring their requests, empowering them to make their own choices, supporting them in whatever ways we can, and connecting them with resources that can help them be and feel safer and more secure. Visit our Resources section for more information about how to help support a friend or loved one who has experienced sexual violence, and remember that the Center’s 24-Hour Help Line is available to both you and your loved one any time you need it. Joey Honeycutt is our Crisis Response Coordinator. She works with our volunteer Companions to provide support services to survivors of sexual violence in our community.